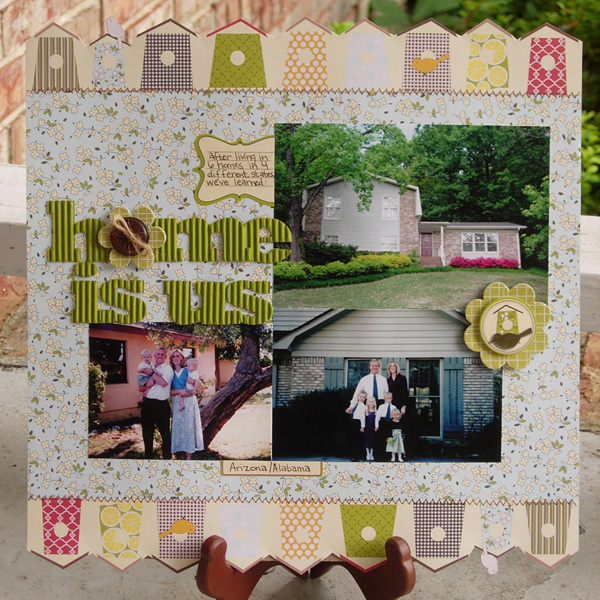 This layout is the featured layout this week for subscribers over at Bite-Sized Scrapbooking. If you haven't heard of them before, click on over and take a peek. It's a great system to help save you some time and get those pages done. Thanks for posting about BSS! I love your creative use of paper at the top and bottom of this layout, and the mix of photos from different times and places.